Congratulations to Vanessa & Adam. On March 20th they started a new journey together and we were happy to be welcomed at this momentous occasion in their lives. 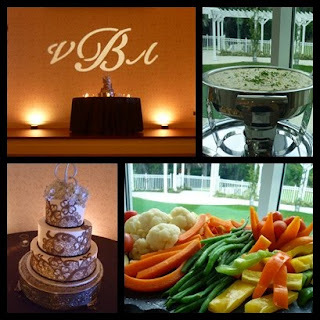 Here is a snap shot of their menu and a video from their wonderful videographer. Artichoke Hearts subtly blended with Spinach, Parmesan Reggiano Cheese, and Cream Cheese then seasoned with Onions and Dill. Served warm with an Assortment of Crackers. A Mixture of Crisp Iceberg & Romaine Greens with Red Onions, Olives, Tomatoes, Cucumbers, and Shredded Carrots. Dill Garden Ranch and Balsamic Italian. The Wedding of Vanessa and Adam from Samuel Muniz on Vimeo.